Universally compatible with any backboard or scoop stretcher. The vinyl-coated foam allows for easy cleaning and disinfecting. The extra large head blocks provide maximum support, while the earholes allow easy patient communication and monitoring. The head immobilizer comes equipped with large hook and loop straps that create a sturdy foundation for every application. The Add-Tech Extrication Device is ideal for immobilizing and extricating patients from auto accidents or confined spaces. 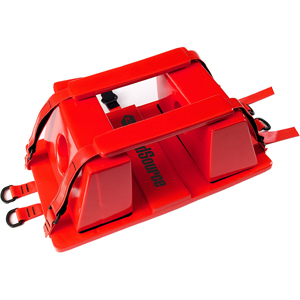 The extrication device is easy to use and extremely effective, offering a combination of rigidness and flexibility. The rip-stop fabric and durable interior slats ensure longevity. 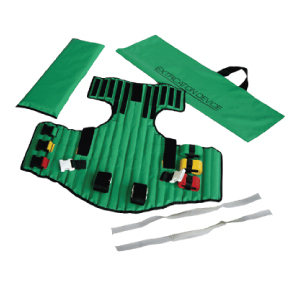 The extrication device comes equipped with colour coded straps for ease of application. This unit can be used on pregnant and paediatric patients. The extrication device includes head support, reusable head straps, and carrying bag. The Adjustable Extraction Collar is moulded from high density polyethylene with foam padding and a patented chin support. 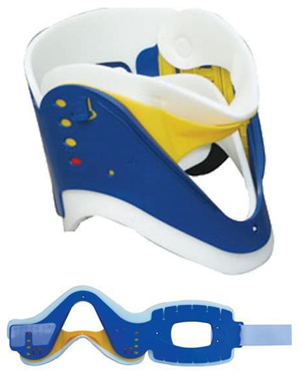 This collar restricts cervical spine flexion, extension and rotation to promote patient recovery. The one-piece design enables efficient storage where space is limited. The multi-height adjustment fits almost all adults (four positions) and paediatrics (three positions). 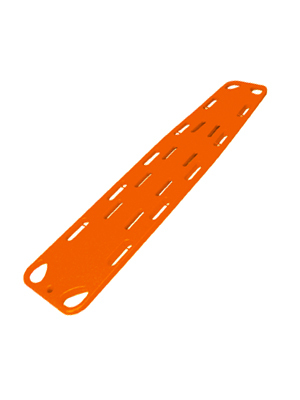 The one-piece design can easily be used; simply measure patient, adjust and lock selected height and apply. For either a supine or seated position, application is quick and easy.